Somewhere in each home, garage, laundry room, basement, or another unobtrusive area, there is a metal box which distributes power throughout the home. A look inside will reveal circuit breakers or fuses which prevent wiring from becoming overloaded. 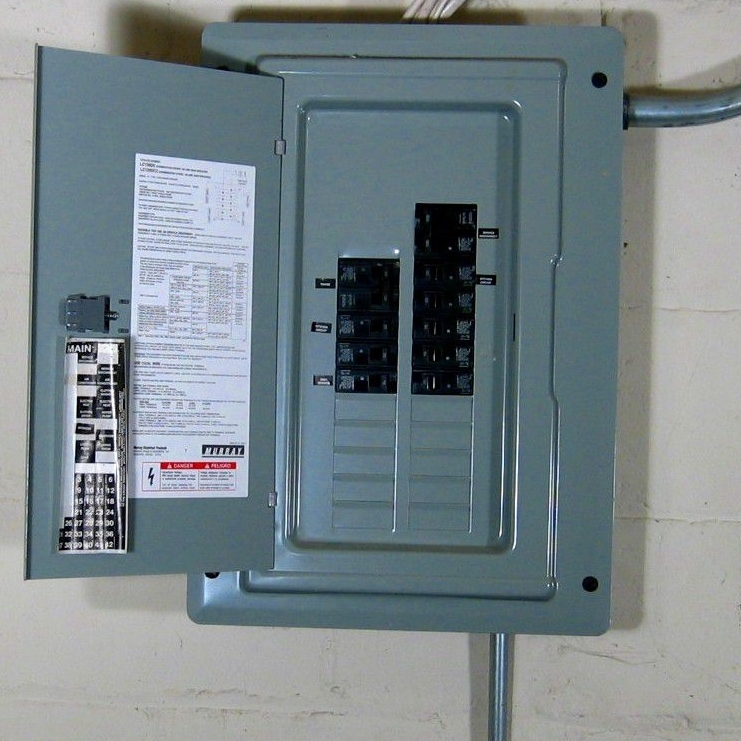 This is the electrical service panel, also called a circuit breaker box, fuse box, or load center. 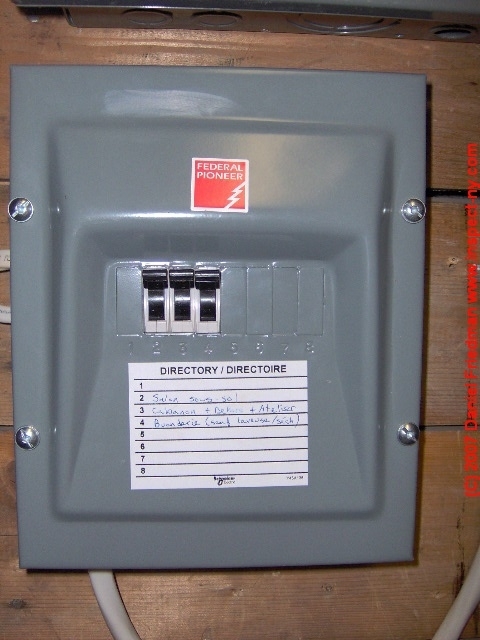 Every capable person in the home should know the location of this box for the sole reason that the main electrical breaker is usually located in the service panel. In the event of an emergency, the main breaker should be shut off--specifically if there is an electrical event, a leaking roof, or flooding in or around the home. If the main breaker isn’t located in or at the panel, it may be located at the meter. Everyone who lives in the home needs to know the location of this breaker and how to shut it off. The service panel not only regulates the amount of electricity coming into your home but also protects your wiring. In the event that someone uses appliances requiring too much power for the wiring to handle, the circuit breaker will trip and cut the power to the wires. This will also protect electronics and other appliances from damage. The service box will usually contain two different types of circuit breaker poles, single and double poles. Single poles are 120 volts and are for typical outlets and lights. Double poles are 240 volts. These are meant for heavy users such as the hot water heater and HVAC. As homeowners become more tech-savvy, a typical home service panel used to have a standard 60 amps. Now, the minimum standard is 100 amps and it isn’t unusual for a service panel to be 150 amps. This is because circuit breakers are meant to operate at 80 percent of their capacity. The mathematical formula for this is watts/volts=amps to calculate typical electrical requirements. Should you find that over time, the family electrical needs outstrip the current breaker box capacity, or, if circuit breakers trip repeatedly, it may be time to have the electrical system reviewed by an electrician to determine if the home needs a service panel upgrade. Although newer appliances are more efficient than they’ve ever been, the typical consumer is using a vastly greater volume of electrical devices. Also, some older homes have a Federal Pacific or Federal Pioneer Electrical Panel, which should be replaced as they’ve been shown to be hazardous. Federal Pacific or Pioneer breakers can start fires.